Nothing quite beats waking up at dawn and heading to Tokyo’s iconic Tsukiji Fish market – the world’s largest. You can see fresh produce arrive in the wee hours of the morning or grab a spot at the market’s Tuna auction (Only 120 visitors are lucky enough to witness this auction in two batches each day). The lines are long at the popular sushi bars here; I’d recommend Daiwa Sushi, a tiny yet iconic sushi bar where a one-hour wait for a table is not unusual. The Chef’s Special Omakase set includes everything from sea urchin to chewy shrimp tail to salmon eggs – a breakfast like no other. The Ginza district in Tokyo is another popular spot for Sushi bars. The city’s Peace Memorial Park and stunning Itsukushima shrine draws countless visitors who never leave town without trying Hiroshima’s soul food, Okonomiyaki – a savoury pancake that combines assorted ingredients like pork or bean sprouts with fish stock, cabbage pancake mix pork. There are scores of Okonomiyaki restaurants in the city including the legendary Mitchan (where this dish was supposedly invented about 70 years ago) and lesser known outlets like Benbe. The city is renowned for oysters – sample them grilled, fried or cooked in vinegar. The Saijo district is often referred to as Japan’s ‘Sake town’, it hosts an annual Sake festival and awards ceremony. The sakes vary by season – shinsu (new brews) in spring, hiyaoroshi (pasteurised once; Sake is usually pasteurised twice) in fall and shikomi (fermented in a large tank) in winter. 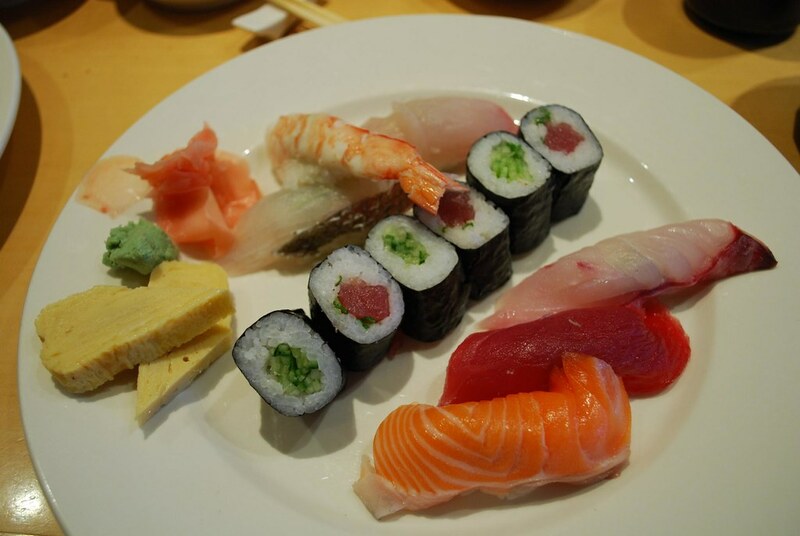 There’s a popular myth that Japan is a lost cause for vegetarians. It’s why Kyoto’s numerous vegetarian restaurants come as a surprise and relief to vegetarian travellers from India. Shojin Ryori, Japan’s legendary vegetarian style of cooking is strongly intertwined with the Buddhist faith in the country. Shojin Ryori was first served only for priests and then gradually made available to visitors to the temple. Eventually it also made its appearance at tea ceremony events that can last for hours in Japan. I tried the Kaiseki-style menu at a restaurant called Aun; this is Japanese cuisine in its most refined form with multiple courses. My visually stunning platter featured flavoursome mushrooms, crunchy spinach and silken tofu – a key element in Shojin Ryori menus. Hokkaido, Japan’s northern-most island has slowly emerged as one of Asia’s culinary hotspots. With exceptional local produce – like seafood and dairy products, combined with innovative home-grown dining experiences. There’s ‘jingisukan’ that seeks inspiration from an old Mongolian cooking technique – soldiers used to cook their meat by placing it atop their helmets and then placing their helmets over open fire. The helmets have made way for convex metal skillets that are placed at the centre of each table. Think of it as your own personal, do-it-yourself meal where you dab some meat fat on to the skillet and keep adding meats and vegetables. Hokkaido’s other contribution is soup curry, a great option for Indian tourists who sometimes struggle with Japan’s piquant flavours and perceived lack of vegetarian options. The quail eggs and the yellow colour might remind you of a Laksa, except this curry doesn’t feature coconut milk but is dominated by the flavour of Japanese curry powder that Indians might find comforting. But it’s Hokkaido’s seasonal soft serves that are true Instagram sensations – from lavender to melon, these are among the best in the world. Almost every neighbourhood in Japan’s big cities is home to an Izakaya that is the Japanese equivalent of a pub or tavern. This is where locals often hang out with their co-workers over beer. The perfect setting for you to try one of Japan’s most popular deep-fried foods – tempura. Vegetables and seafood (ebi-ten or prawn tempura is a must-try) are coated with a thin batter and usually fried in sesame oil. Tempura is usually accompanied with a soy-flavoured broth and grated radish. Hoto – thick wheat noodles (that resemble extra thick Udon noodles) cooked with pumpkin and other seasonal vegetables in a flavoursome miso soup broth and served in an iron pot. This is a popular broth in the Lake Kawaguchiko region near one of Japan’s most popular tourist spots – Mount Fuji. Sukiyaki (sliced beef with assorted vegetables and tofu in a soy sauce) is one of the country’s best-known hotpots. 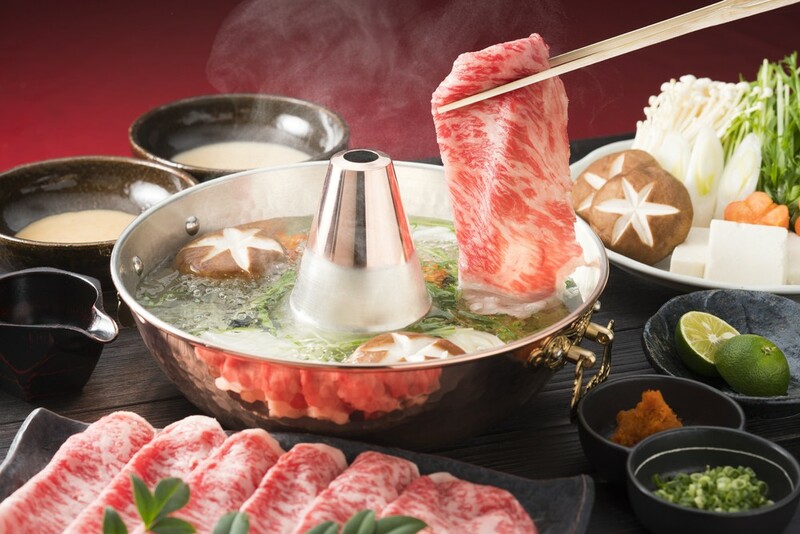 There’s also the more modern Shabu-Shabu (an onomatopoeia that takes its name from the swishing sound the ingredients make inside the hotpot). The beef and vegetables are slow boiled in a seaweed broth and the soup is usually consumed at the end of the meal after the beef and vegetables. Whether you’re dining on the street or a fine diner, noodles are always in the mix. There’s soba – long, thin buckwheat noodles, served hot and at room temperature with a soy-flavoured broth. You could also try Udon noodles made from kneaded wheat flour and ramen, perfect for a late meal. These egg noodles in a salty broth come in four major soup styles including the strong miso ramen that’s popular in Hokkaido. So the next time you’re in Japan, do try the above mentioned Japanese delicacies and make the most of them.